There is a lot of negative news out there. Negative news about gamers, about the industry, and about the side effects of video games. 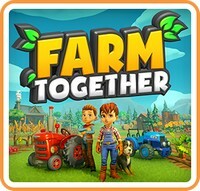 So it is great to see the medium get a game that makes gamers look good. Reel Fishing Paradise 3D is one of those rare games. It comes as no surprise that Reel Fishing Paradise 3D comes from our friends over at Natsume. 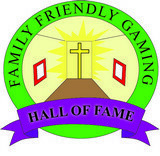 They have a good track record (over the years) of making good games for families. Just in case you were not sure, Reel Fishing Paradise 3D is all about fishing. We go to fifteen different locations and catch forty different fish. We do this with over one hundred different tackle pieces. We can keep the fish we catch, and put them in a tank. A fish tank that we can customize with an array of items. Visually Reel Fishing Paradise 3D is stunning. 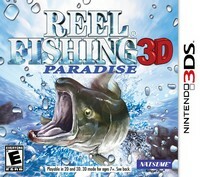 If you are looking for a reason to purchase a Nintendo 3DS, then look right at Reel Fishing Paradise 3D. This game is a system seller. The 3D effects are wonderful. The fish look real, and animate like real fish. There is something special about seeing the fish fight us underwater. The music in Reel Fishing Paradise 3D is relaxing, and soothing. The special effect sounds fit the menu screens masterfully. I love the sounds as we are fighting fish. Let that tension get too high and an alarm will sound. This is the sign to settle down, and stop reeling the fish in. Reel Fishing Paradise 3D is all about give and take when it comes to catching fish. I bought Reel Fishing Paradise 3D myself. I feel like I got my moneys worth out of this Nintendo 3DS game and then some. I apologize it took so long to play and review Reel Fishing Paradise 3D. 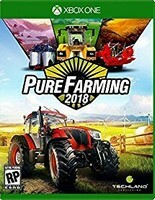 I had to save up the money to buy this hand held video game. The game play in Reel Fishing Paradise 3D is really good once you understand what to do. Reel Fishing Paradise 3D is not very kind to the player in terms of explaining how certain things work. I had to learn about the tension gauge and figure it out for myself. I had to figure out how to tell if a tackle was good for a certain kind of fish. Once I taught myself those things this game flowed smoothly. Reel Fishing Paradise 3D is a great game for families. 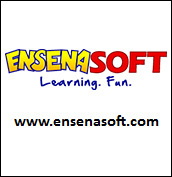 It is safe for all ages. Be sure to keep the 3D turned off for children. Do not want to mess up their eyes. Reel Fishing Paradise 3D is a deep fishing game that looks fantastic. I hope to see sequels in the near future.